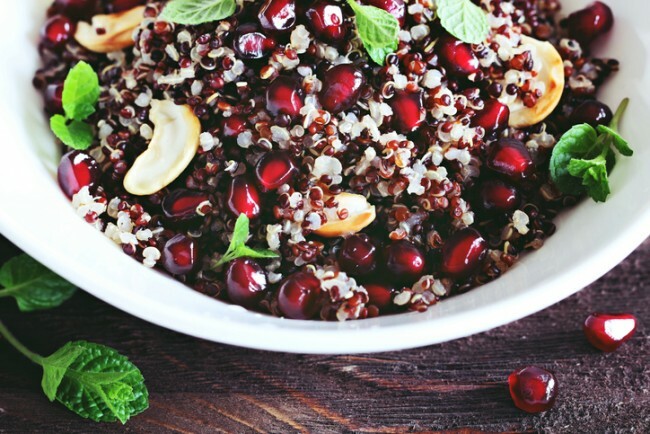 It is National Pomegranate month, so let’s enjoy this magical fruit in all sorts of tasty ways. 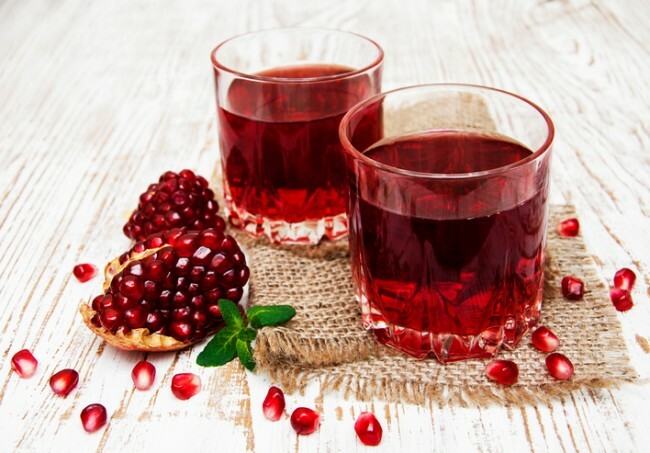 Pomegranates are more than delicious; they are good for us, too. 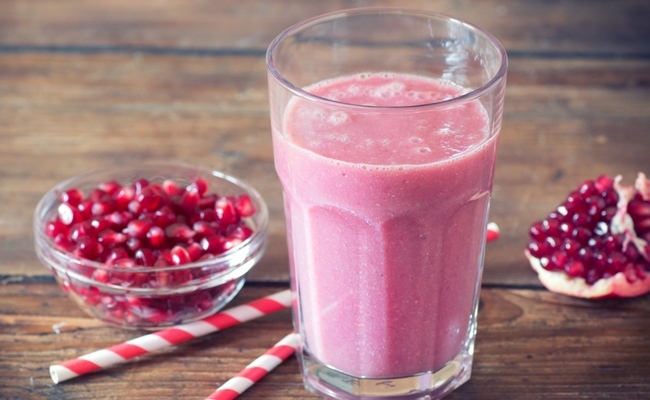 Let’s start the day with a pomegranate smoothie. Enjoy this delicious healthy smoothie. Now here is a refreshing and healthy beverage you can drink during the day. I love pomegranate juice and decided to make it in a blender rather than a juicer for two reasons. It’s easier, but also, when the seeds are totally broken down they add a bitterness to the juice. After washing the pomegranate, cut the crown portion on top. Cut through the outer skin from the top to the bottom on two sides thinly, now tear the fruit into half and remove the seeds from it. 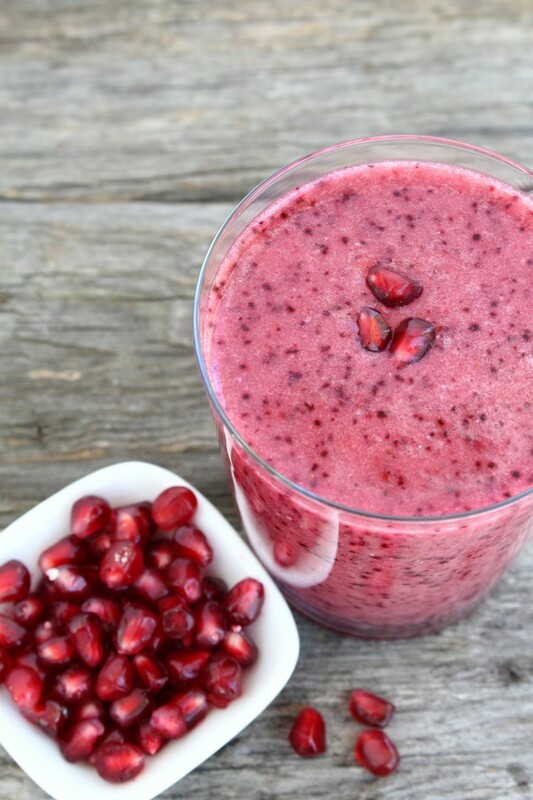 Put 1 cup of pomegranate seeds in a blender with 1/2 cup water. Do not put on to blend, start by pushing the pulse button a few times; this will help the outside part of the seeds to release their juice. Best not to blend it because when the seeds break, the juice turns bitter. Once you have the juice out of the seeds, use a strainer to sieve the juice out of the pulp. Use a big spoon to press pulp to extract as much juice as possible. Discard the remaining pulp and seeds (or mix some salt with it and enjoy it alone). Drink and enjoy immediately to get as many nutrients as you can. This is a great meal in a bowl for lunch or dinner. Simply mix all ingredients together and enjoy.